We have seen quite a bunch of Nokia tablets here in concept phase, but one more couldn’t hurt. 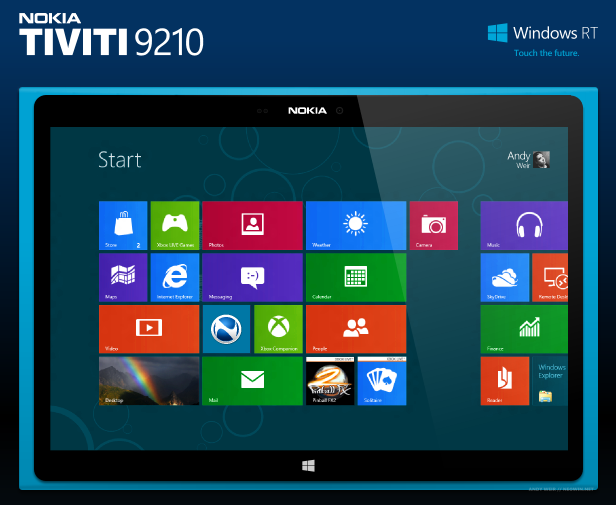 Meet the Nokia Tiviti 9210, a Windows 8 slate with some very appealing specifications. Andy Weir of Neowin imagined this device and the result were the pictures below. This slate runs Windows 8 RT on top of a dual core Snapdragon S4 processor at 1.5 GHz. This is a 10.1 inch tablet with a Super IPS+ LCD ClearBlack display with a 1920 x 1200 pixel resolution and Gorilla Glass 2 protection. It weighs 575 grams and features 1GB of SDRAM, 32/64GB of storage, a 7700 mAh battery with 12 hours of functioning time and an 8 megapixel camera at the back. The camera has a 2.2 aperture, 28mm focal length and supports full HD video capture at 30 fps with stereo audio capture. 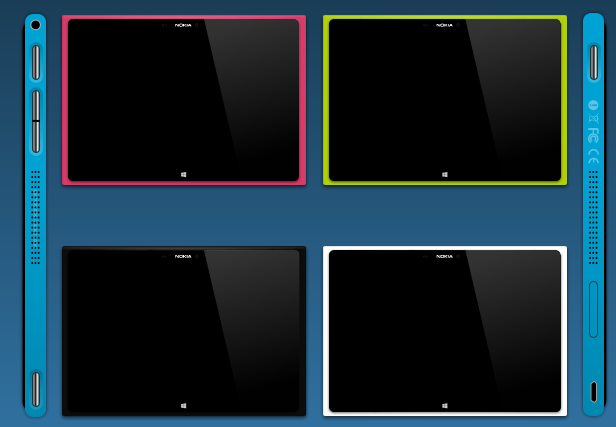 The Nokia Windows 8 tablet also has a 2MP front camera, accelerometer, Glonass, AGPS, gyroscope and proximity sensor. On the connectivity side, it offers WiFi, Bluetooth 4.0, 4G LTE, DLNA, microUSB and a 3.5mm audio jack. There’s even pricing envisioned here, so for example you’ll pay $499 for the 32 GB WiFi + 4G version. The 64GB one will cost $629 and these are pretty reasonable price tags. Also know that the product measures 8.8mm in thickness, so only a bit thicker than the Transformer Prime. Would you buy this tablet instead of the iPad 3? Acer Phone Concept Looks Beautiful, Created by Dan Hsu YOU Design the Next Nexus Phone! Post Your Suggestions Here!